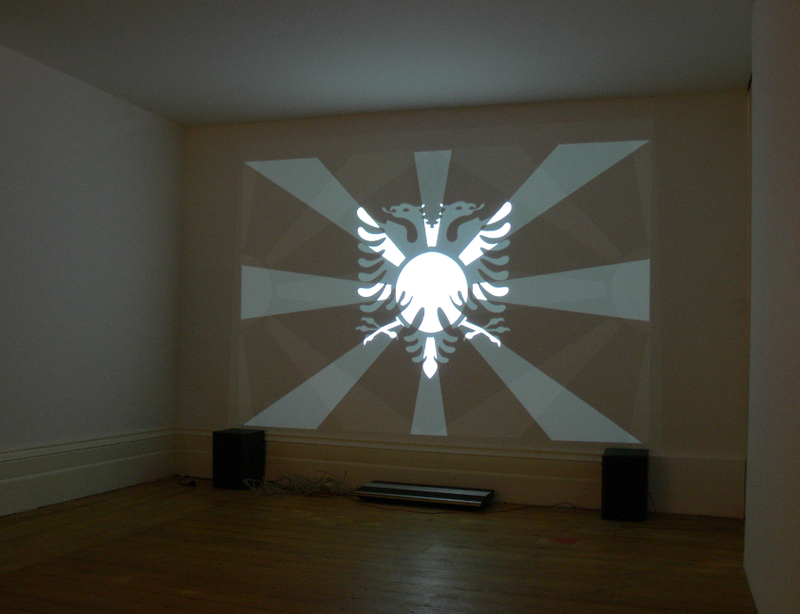 In Search of Justice, exhibited at Serious Interests Agency, London, 2006.
in search of justice is a project that belongs to my interest in national flags as representations of similarities and differences of cultures and national identities – this time using the combination between the flags of Macedonia (a predominantly Orthodox Christian country) and Albania (a predominantly Muslim country), neighbouring countries that are known for their unstable relations. The project encourages but also questions the possibility of coexistence. 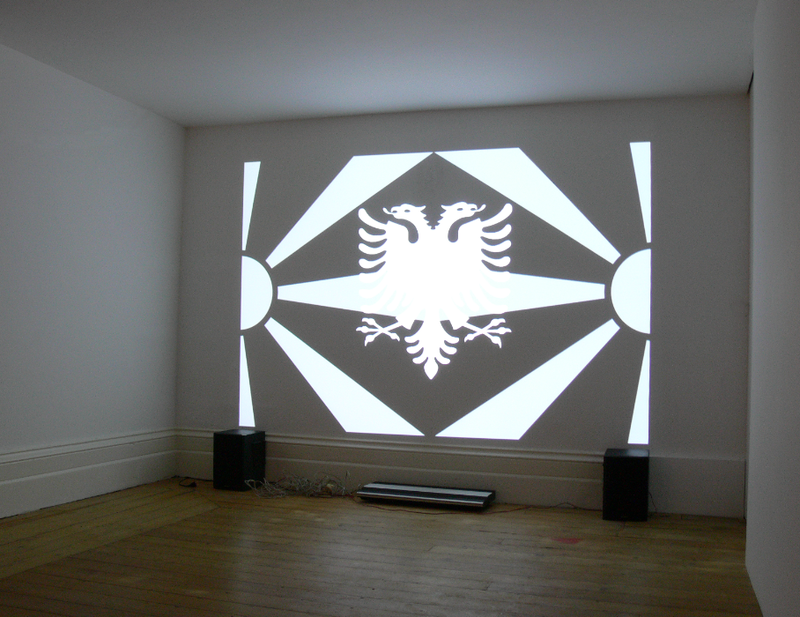 At one point in the video, the flags erase themselves and leave behind their visual negative, thereby point- ing out a sense of danger which results from their inter-play. 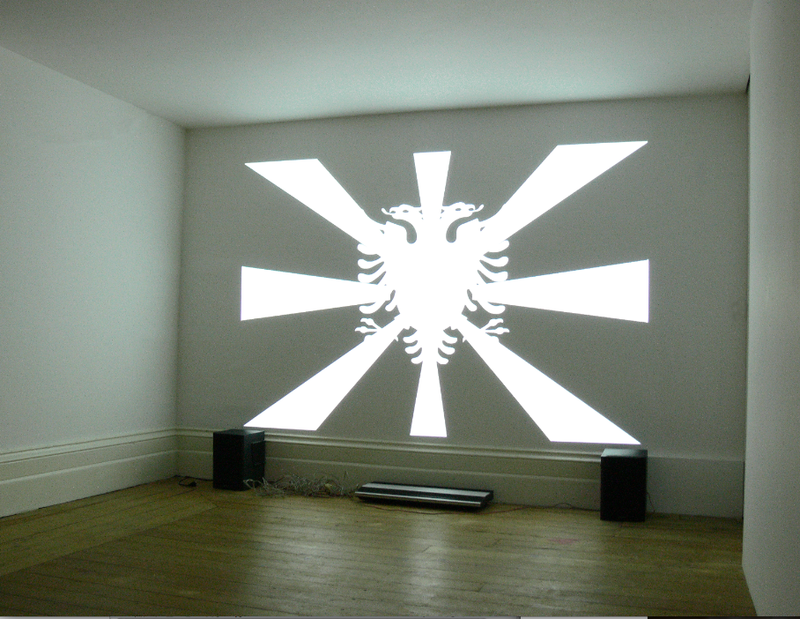 In Search of Justice, exhibited in Serious Interests Agency, London, 2006.